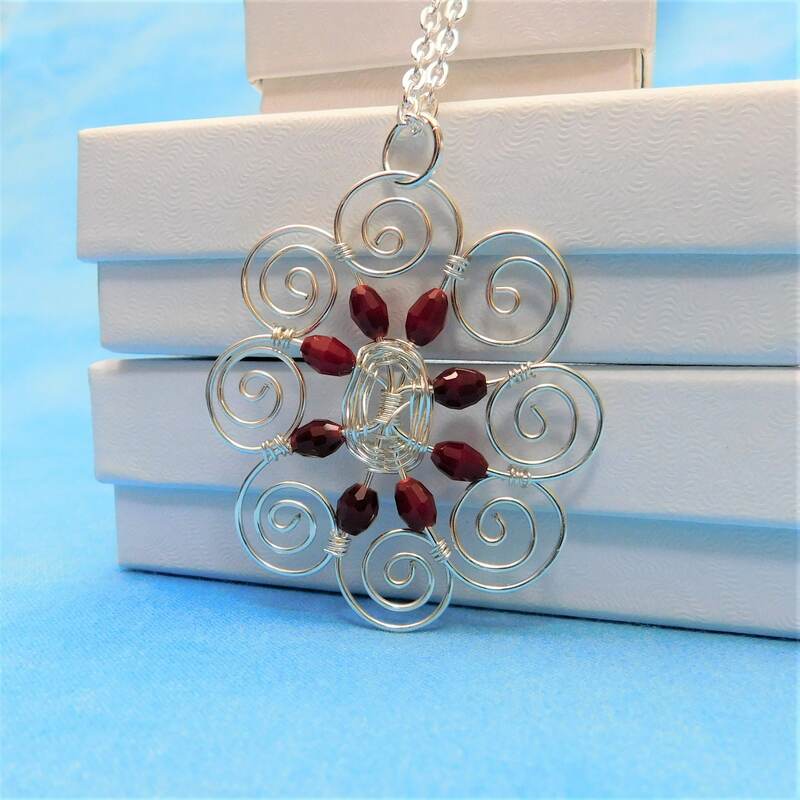 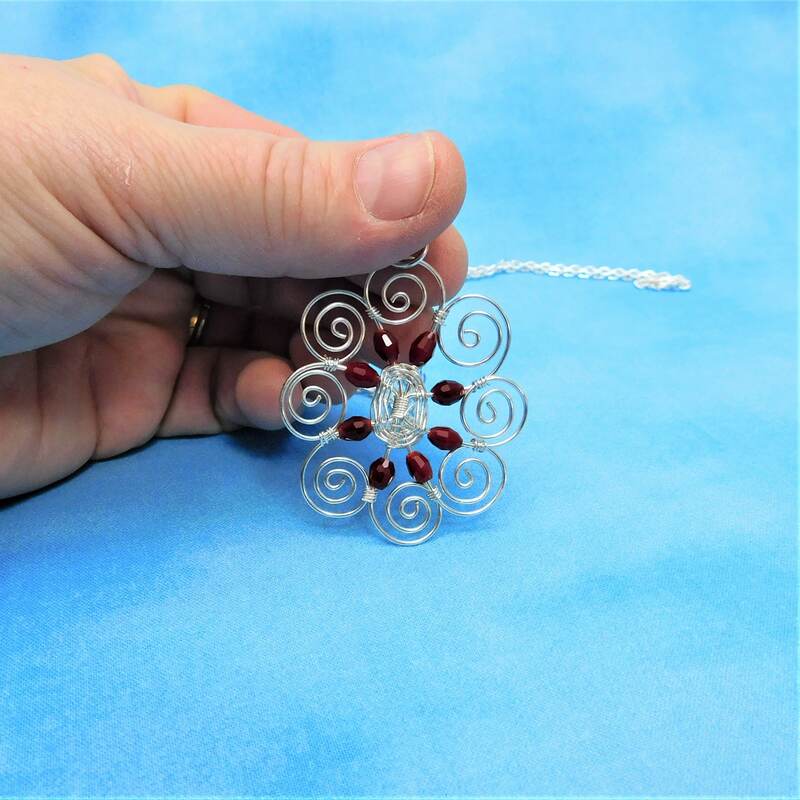 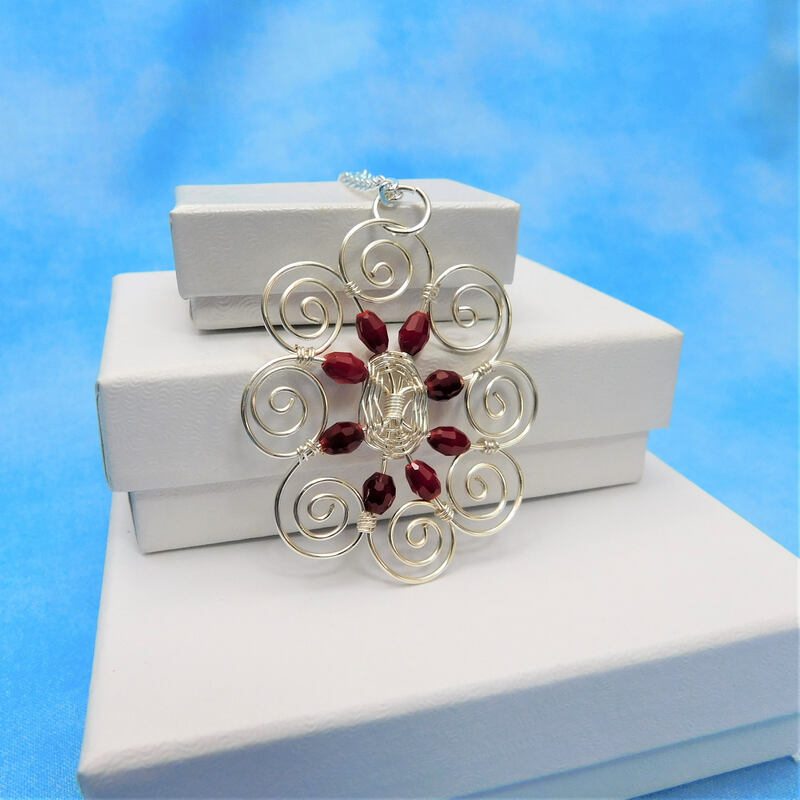 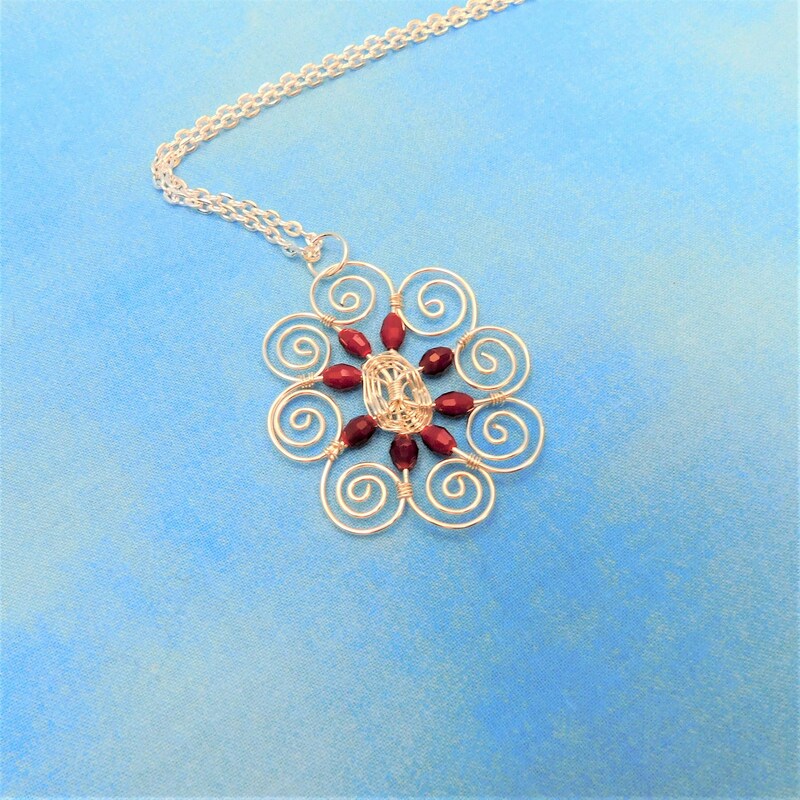 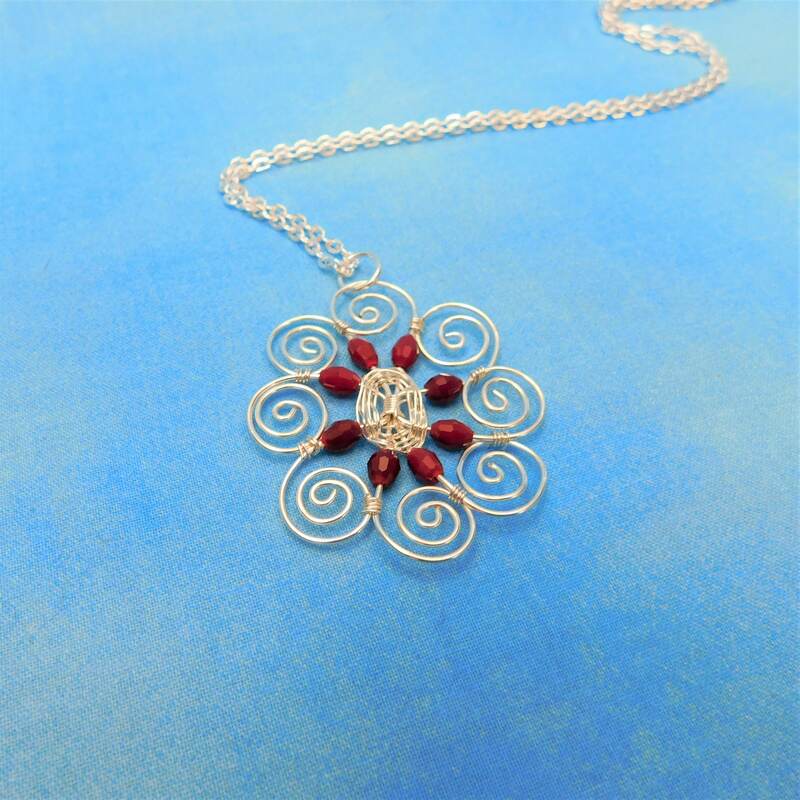 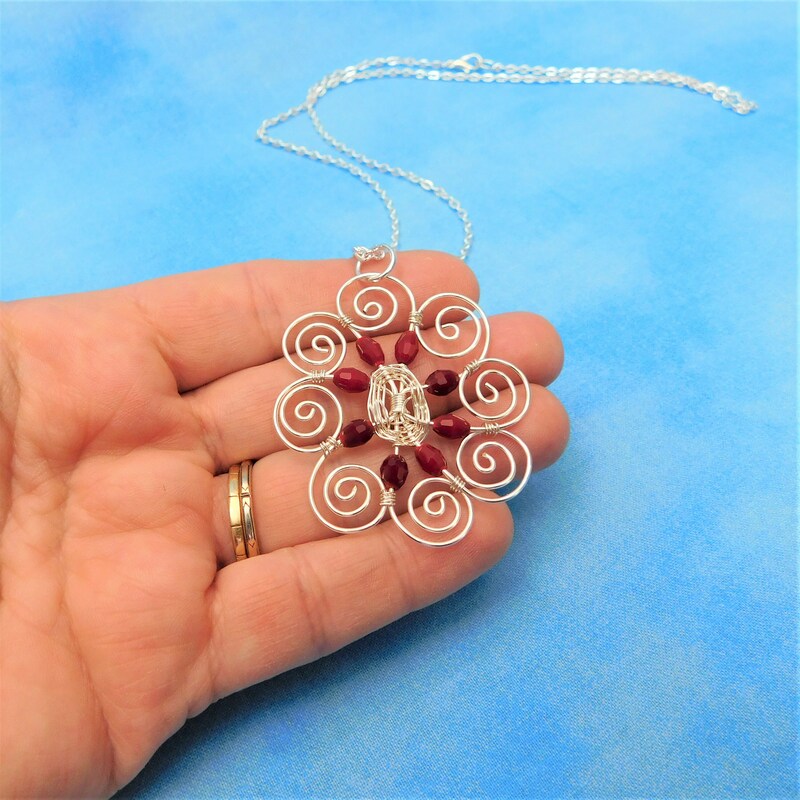 Non-tarnish fine silver over copper wire is hand woven and sculpted, integrating red Chinese crystals. 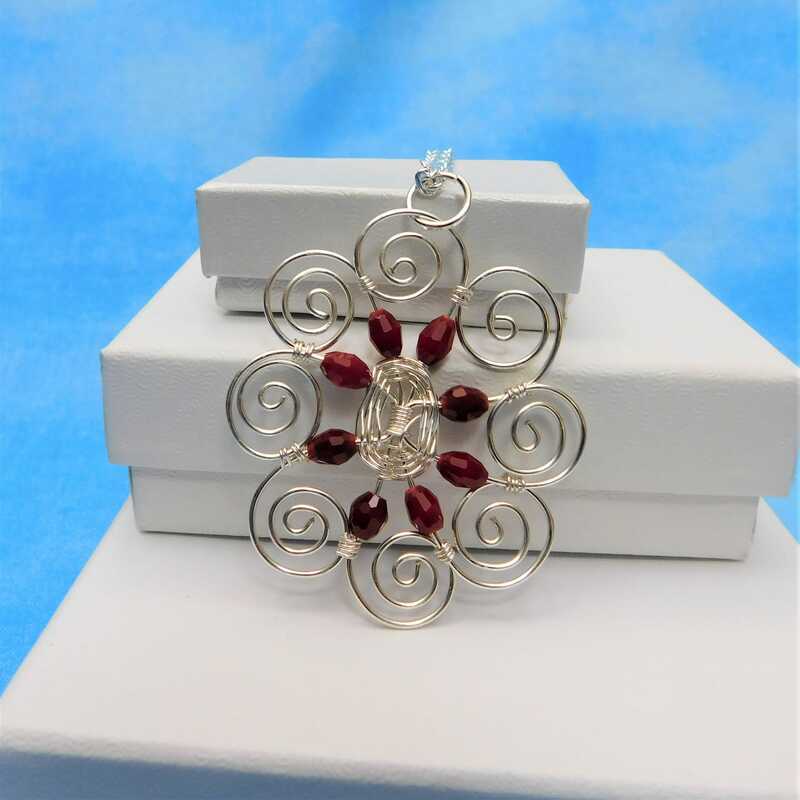 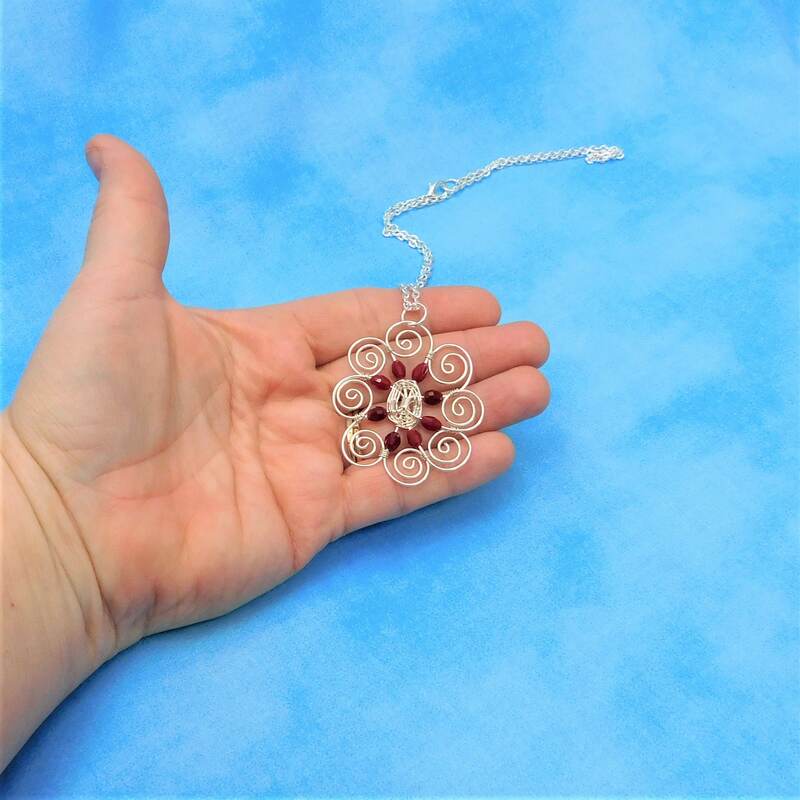 This unique design would surprise and delight for that birthday, Mother's Day or Christmas gift. 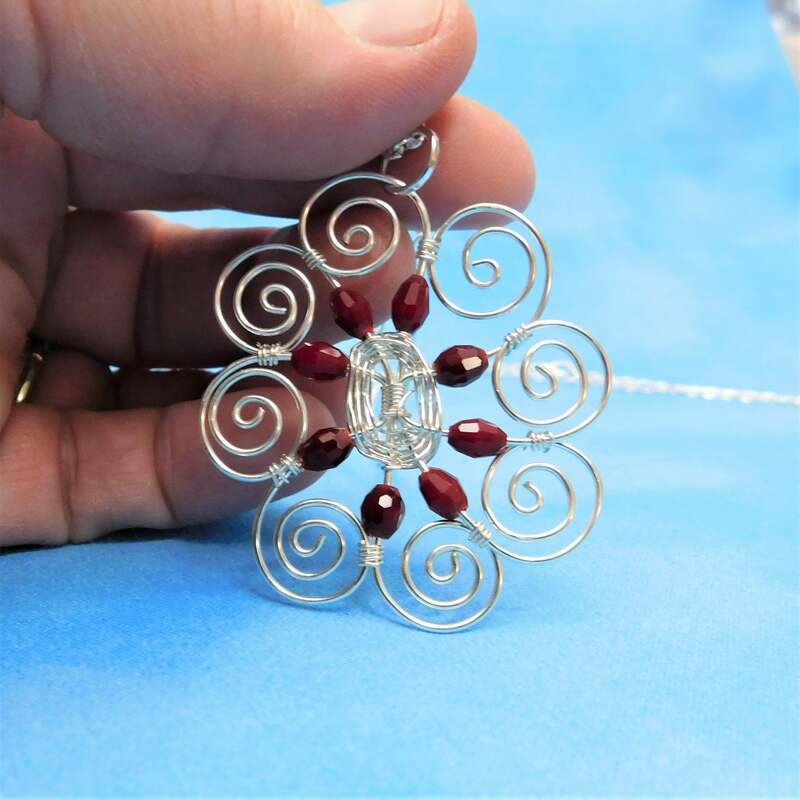 The pendant measures 2 inches by 1 1/2 inches.